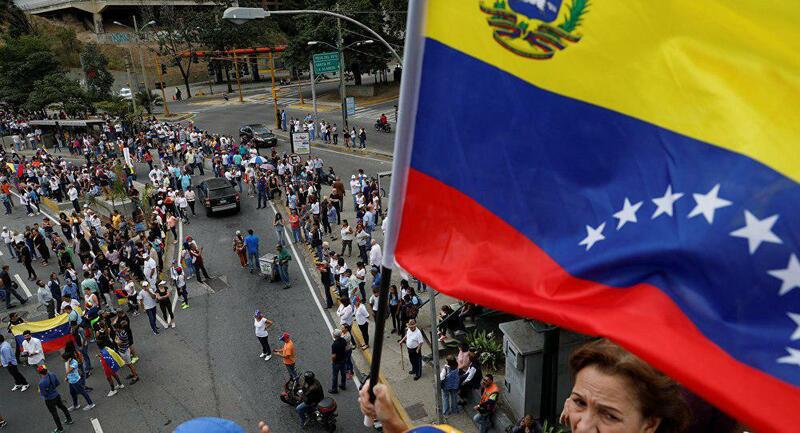 CARACAS, Feb. 1 (Xinhua) -- "The majority want peace, the country wants stability," said Luis Gonzalez, a student at the Central University of Venezuela. 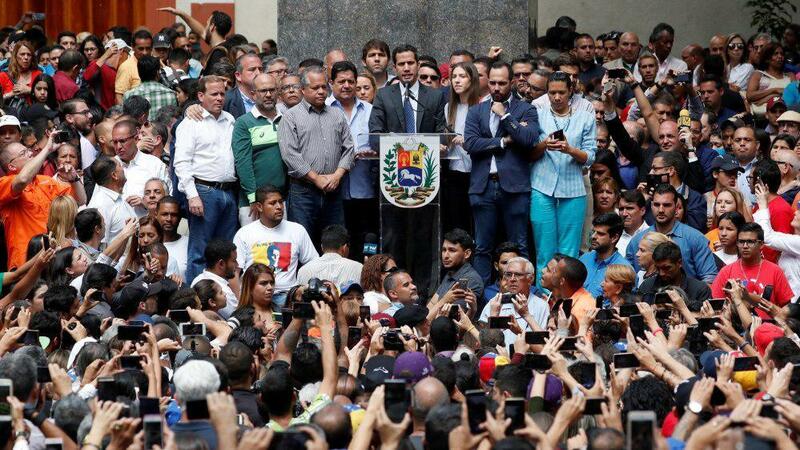 Venezuela has been mired in difficult economic and political situations after opposition leader Juan Guaido declared himself interim president and was recognized by the United States and some other countries, arousing fear of foreign military intervention. Gonzalez said he hoped that foreign military intervention would not happen. "You take history as an example, the consequences are not usually positive for the people of the invaded country," he said. His attitude reflects that of many local residents from different walks of life. Facing political strife and an unfavorable economic situation in Venezuela, many stand firm that they reject foreign intervention. "It would be like being in my own home and some person came and gave orders, that's something no citizen will allow, not here or in any country in the world. We have to ensure respect for our home," said Alexis Ramon Maiz, a vendor in the crowded Plaza Bolivar in Caracas. "We want peace," he told Xinhua, hoping all Venezuelans can live peacefully like brothers. At the entrance of a popular Caracas market, retired attorney Milagros Rodriguez said she was worried about the country's economic policies but still opposed the idea of an armed conflict. She said she has cousins and nephews in the army who might be involved if an armed invasion takes place. "It will be a terrible conflict, I can't even imagine it." For his part, Kilian Cairo, a 62-year-old retired government supporter, said he doesn't believe an armed foreign intervention would happen. "If it happens, we are ready to resist," he said. "Since we have defeated the Spanish by losing half the population for independence, we are ready for anything for the second independence," he noted. 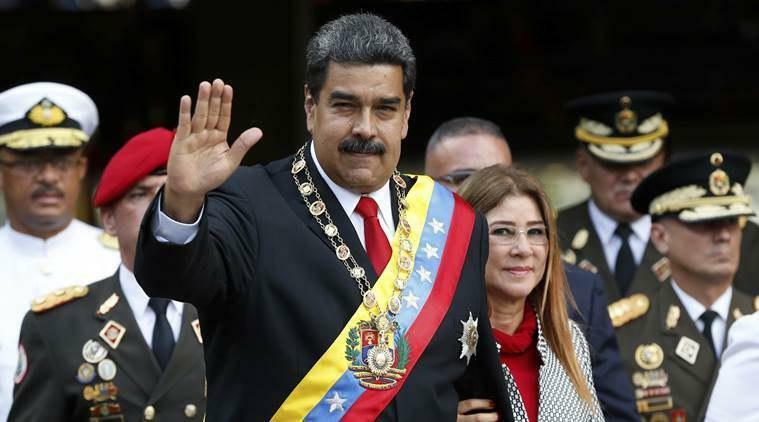 On Friday, Venezuelan President Nicolas Maduro visited the headquarters of the Bolivarian National Guard (GNB) here, calling for strengthening intelligence and preventive work. The visit was part of preparation for the large military exercises scheduled for Feb. 10-15. While Maduro has announced willingness to talk with the opposition, the opposition leader's biggest supporter the United States has refused the offers from Mexico, Uruguay and the Vatican to mediate. Venezuela is "a country of warriors, of fighters," a woman who works as a tour guide in the central part of Caracas said to Xinhua on condition of anonymity. "We can resolve our economic and political problems." "The situation will be resolved and we can move forward," she said, smiling.